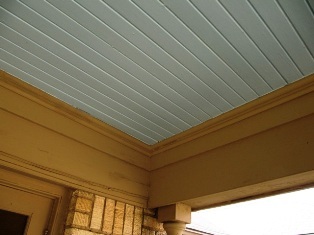 At least two seasons ago we painted the ceilings of eaves and porches at home and at the office with the paint color "haint blue". Thought it was time for an update. I hadn't noticed until recently how clean these surfaces are - very few insects, no webs or nests of any kind. This haint blue color idea really works. Read Orginal Newsletter and see current photos.